Ens. 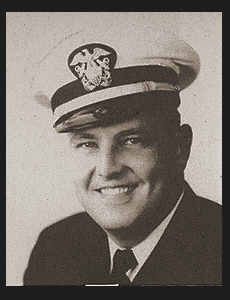 John F. McAuley, Jr., son of Mrs. J. F. McAuley, Sr., graduated from Davidson High School and Okla. Univ. ; husband of the former Billie Rhue Wiley. Entered Navy in July, 1944, trained in Miami and Hollywood, Fla.; served in Suantanamo, Cuba, Trinidad, British West Indies, and Puerto Rico. Awarded Asiatic Pacific Ribbon, Am. Defense Ribbon.